Walking through the Domplein today, I was startled to get past the construction work taking place and suddenly see this old bus. You usually don’t see vehicles of any type — other than bicycles — parked there. You definitely don’t see vintage American buses! It’s an actual Greyhound Bus! An American icon! 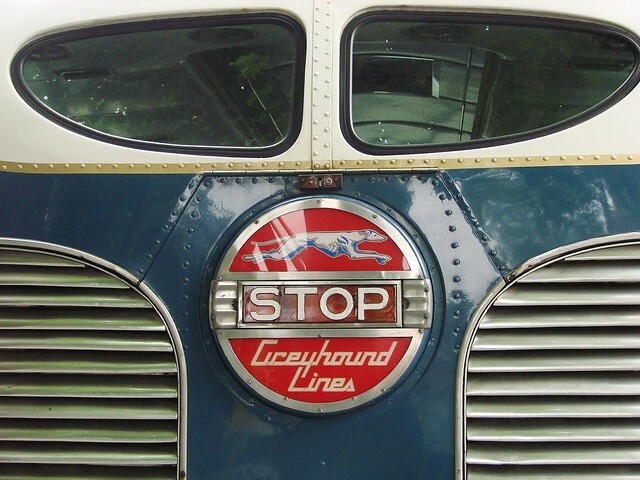 Founded in 1914, Greyhound Lines, Inc. is the largest provider of intercity bus transportation, serving more than 3,800 destinations with 13,000 daily departures across North America. It has become an American icon, providing safe, enjoyable and affordable travel to nearly 25 million passengers each year. The Greyhound running dog is one of the most-recognized brands in the world. Much like the American school bus(es) I’ve seen here in town, this one is also more of a specialty vehicle for hire. As it turns out, it was being used as transportation for a wedding party. I saw the bride and groom approaching just after taking these shots. I was so focused on the stylish back view of the bus that I forgot to get a shot of the front. Fortunately, it turns out another friend saw the bus as well, likely just a few minutes before me. She said that the destination listing on the front was for Detroit. I headed on my way but was passed by the bus a few minutes later. The bus was slightly noisy and perhaps an unusual sound for that street, because quite a few people suddenly popped out their front doors to see what the strange noise/vehicle was. It definitely turned quite a few heads today! 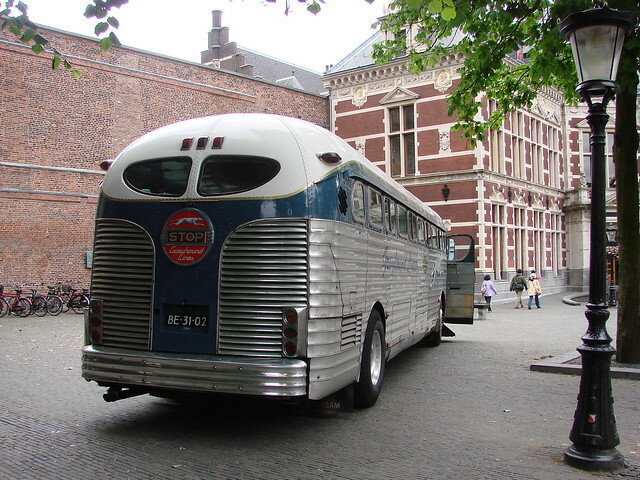 This entry was posted in differences, oddities, photos and tagged american vehicles in the netherlands, domplein, greyhound bus in utrecht, photography, vintage american bus, wedding car rental by Alison. Bookmark the permalink. 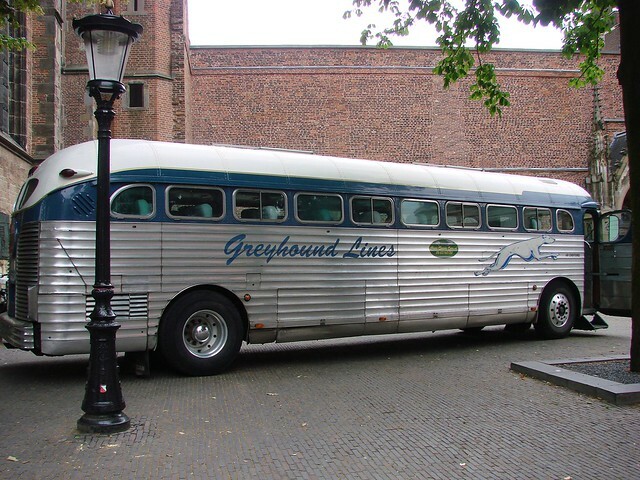 O I absolutely love the retro design of those old greyhound buses! I’ve only ever seen them in movies, they’re so beautiful. The stories that bus could tell, what fabulous style and detail! It really is gorgeous styling, isn’t it. I’m sure it really does have a lot of stories to tell! What an amazing find! I recently saw a good ol’ yellow “School Bus” in Breda and nearly felt my jaw hit the cobble stones. Reminders of the States come in surprising places. The yellow school buses seem to be increasingly popular here! I think seeing these American buses is all the more surprising because of the sheer size. That’s a big shipping investment!